And when cyclists aren’t cycling, they love to watch other people’s wheels go round: following the tours on TV or sharing clips of trick-biking like the silent shorts starring Danny Macaskill that are so popular on YouTube. So there’s a keen market for this compilation, which is less a monument to athletic endeavour and more a tribute to British eccentricity. Across two discs, On Yer Bike will educate you about the history and manufacture of bicycles, issue dire and repeated warnings about road safety and cycle maintenance, and even patiently explain how cycle paths can be integrated into existing urban road systems. Tom’s Ride (1944) is a short story about a young lad who learns right from wrong in the face of severe temptation – it’s hymn to the classic British virtues of honesty, neighbourliness and tweed. But there is a plenty here that is just plain loopy, and enjoyably so: from the Ronseal knockabout of Fred “Pimple” Evans’s Fat Man on a Bicycle (1914) to 1983’s so-naff-it-might-be-hip rap-narrated effort It’s a Bike. 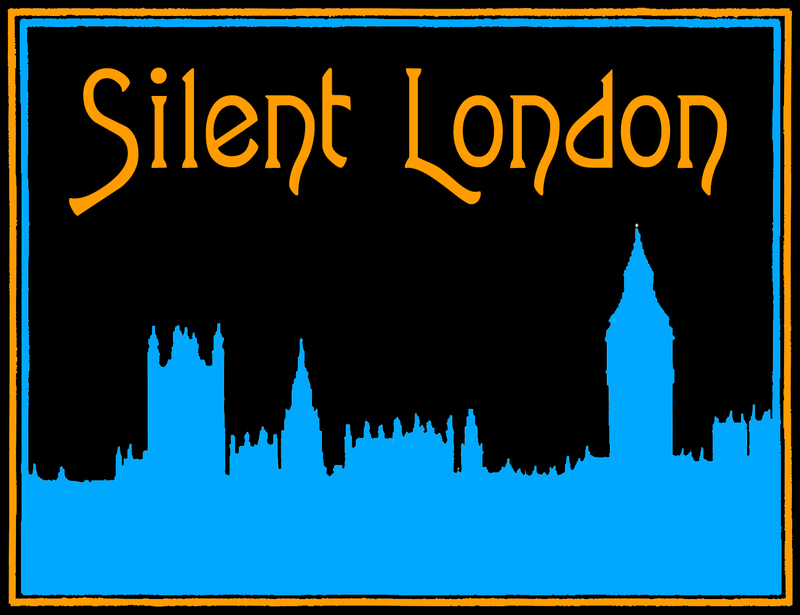 The silent offerings are heavy on actuality footage, from the demure pedallers of Lady Cyclists (1899) to Topical Budgets, one in honour of National Bicycle Week (1923), another showing the Olympic Trials at Herne Hill velodrome in 1928, a third “celebrating” Women Wheelers (1929) and the eye-catching scenes of Cycling the Channel (1929). Trick rewinding enlivens the flashy stunts in Flying the Foam and Some Fancy Diving (1906). Pimple offers up some unsophisticated laughs, there’s a brief and stilted ad for a new cycle and there is race footage from Manchester courtesy of Mitchell and Kenyon. And I really like the soundtracks for the silent material, all by different composers from the Audio Network, and combining samples with live instrumentation. All jolly good larks – and very relaxed viewing. Perversely for such a sedate selection of films, though, it left me itching to rise from the couch and start pedalling. There can’t be many DVDs that are good for your cardio regime – and the planet. 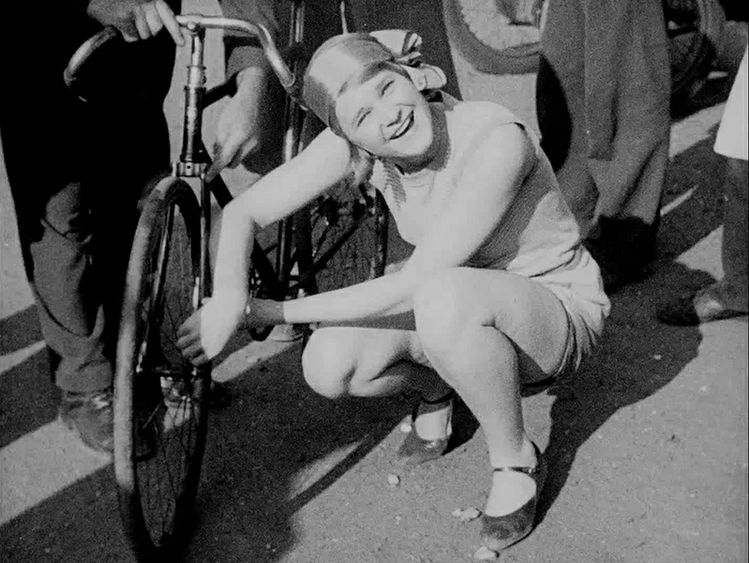 What is abundantly clear right from the earliest of these films is that the British love of the bicycle is no recent phenomenon. 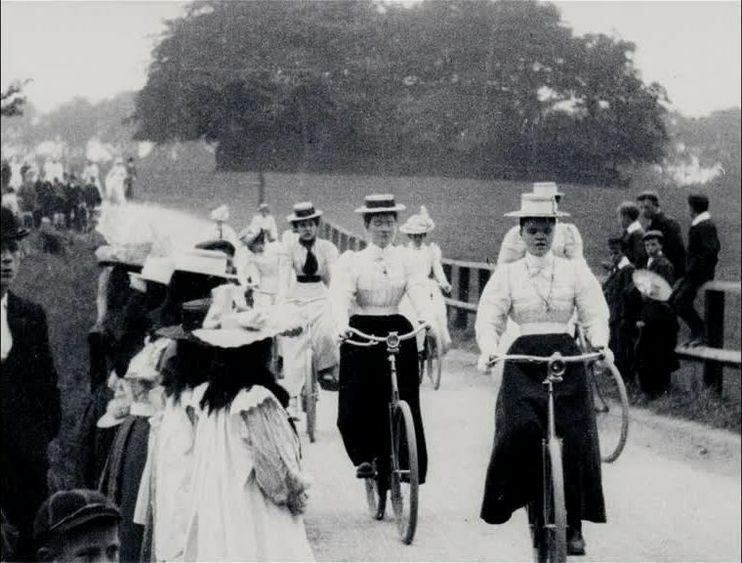 The Manchester Wheelers meeting of 1901 drew 18,000 spectators, which is three times the capacity of the London Olympic velodrome. It’s also fair to say that sprint finishes haven’t changed much over the past 115 years. The demonstration of cyclists dismounting and shooting their rifles prone does make one wonder why biathlon became a Nordic skiing event and didn’t come to have a modern cycling equivalent. While today bicycle aficionados enjoy YouTube clips featuring the likes of Chris Akrigg and Danny MacAskill, marvelling at their bikemanship, Fat Man on a Bicycle and Flying the Foam and Some Fancy Diving (think Red Bull Flugtag without the wings) reveal that an absence of skill and general comedy were more the rage in the first half of the 20th century. The celebration of 50 years of the rubber tyre and the lovely trip through the Raleigh factory reveal that the essentials have always been essential. Back then Raleigh used “light in weight” steel that they formed into tubes themselves, but the process for tightening spokes, the addition of ball bearings and the emphasis on quality are all carried through to the present day. And as anyone who lives with a cyclist will know, bicycles are the ultimate object of lust and obsession. Tom’s Ride focuses on a small boy’s desire for a bike he can’t afford. It’s all he can think about. If only he’d had eBay. You can buy Philip’s gorgeous cycling-themed prints, or have a browse, here. On Yer Bike is released on Monday 22 June. You can pre-order a copy here. Biathlon became a Nordic skiing event because ski troops have been essential in a number of real world military engagements, notably the Winter War in Finland, in which a few thousand men on skis halted an invasion by the Soviet Union. So far, bicycle soldiers have no such legacy.